Welcome to the May edition of the Town Team and BID newsletter. Please read on to find out about what we've been up to over the last few months, and to learn about our plans for the forthcoming year. Fuller details of the year's activities will be published in June in our Annual Report, which will be circulated in both printed and digital formats. We are inviting all local businesses to our third AGM, to be held at The Steam Crane (4-6 North Street) on 7th June at 6pm. Key items on the agenda are: to elect new directors, review Year 3 of the BID and commence discussions for Year 4. We are now seeking nominations for new directors - please email your suggestions to George Grace (george@bedminstertownteam.com) by Sunday 29th May 2016. 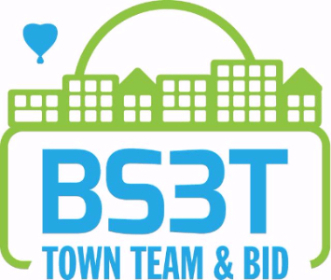 We are an informal, friendly group, whose basic duties are to direct spending for the BID and Town Team. We invariably hold our meetings at 6pm on the first Tuesday of each month, and are looking for directors who can commit to a minimum of seven meetings per year. Please do get in touch if you'd like to get involved. In February, Window Wanderland was introduced to the area, to light up our retail and residential streets with wonderful window displays during the dark winter nights. 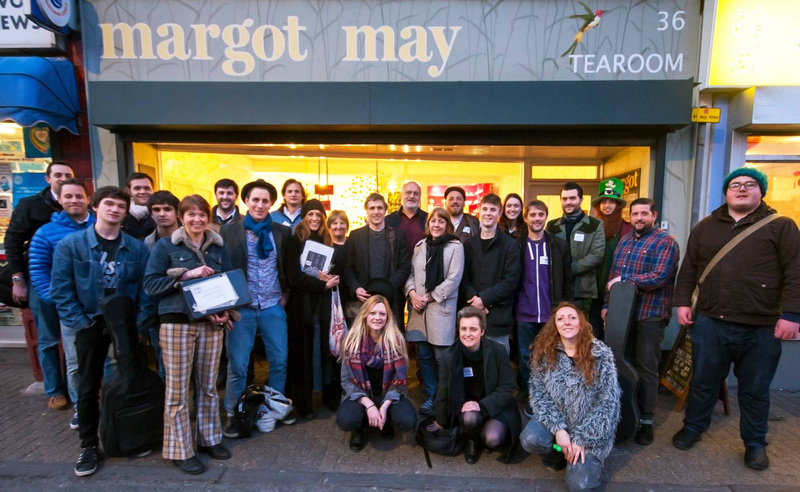 March saw the return of 'On The Run' - with 30 comics, musicians, poets and magicians performing across 14 venues in Bedminster, in a battle to win a £250 cash prize. 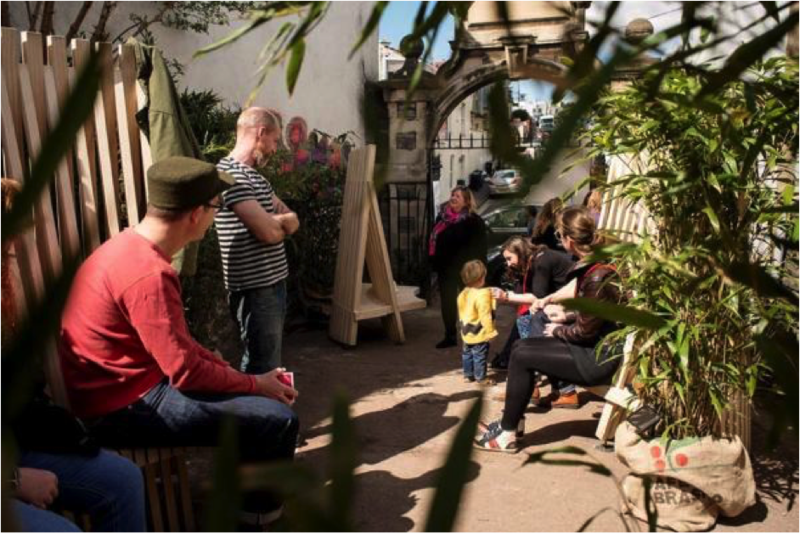 In early May, we launched 'Breakfast in Bedminster', as part of Bristol's Food Connections. 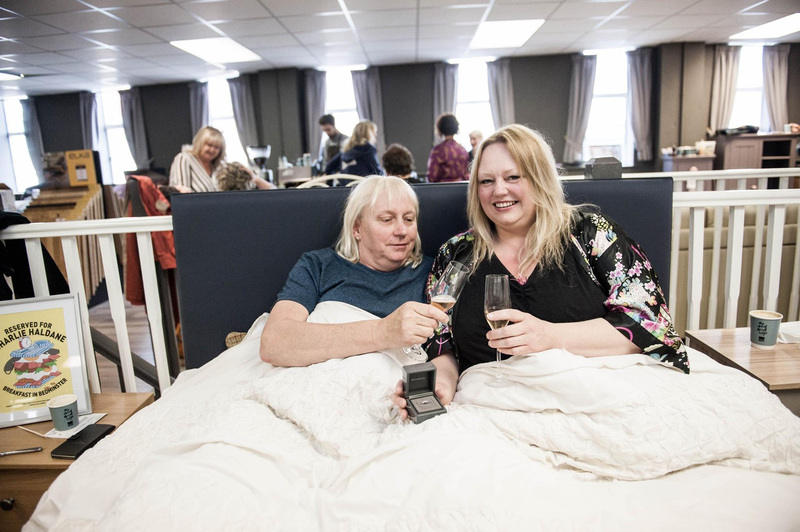 This was a fantastic event, with numerous cafes and restaurants taking part, as well as Michelin Chef Josh Eggleton serving breakfast in bed at Kustom Floors and Furniture! For more details and photos of these events, check out our Facebook photo stream, Twitter account or the local press. 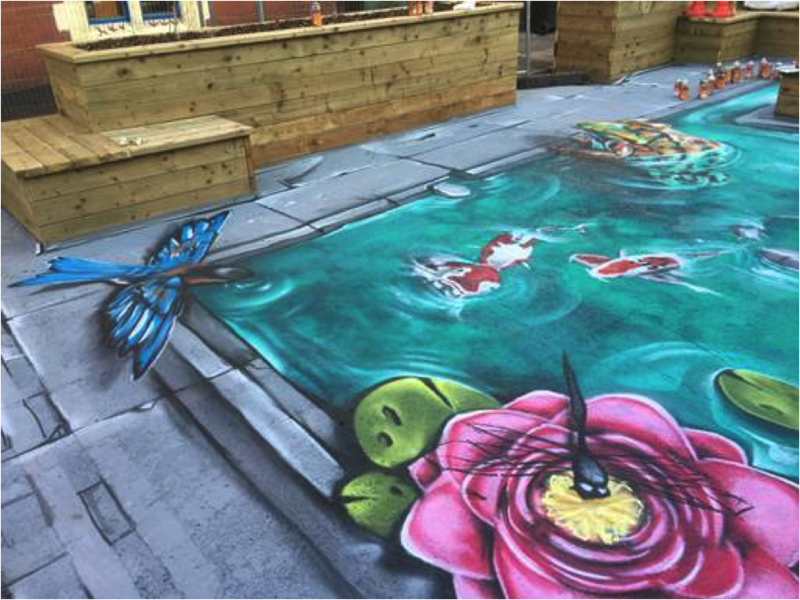 We are delighted to have opened not one, but two 'pocket parks' in the area over the last couple of months. These were delivered with over £25k of grants won from the city council and central government. We believe it's the experiences such as these that help people to enjoy a trip to Bedminster at little more, encourage them to stay longer, and of course sets us apart from the more innocuous shopping experiences in a mall or online. Bedminster Parade - the Metrobus is coming and we have managed to agree with the council a diversion of some funding to improve the public realm in this area. Work should start in the summer. Heritage Lottery Funding - we are busy working with the council and UWE on a major application for over £1m of funding for improvements to shops in the conservation area (predominantly BedminsterParade and East Street). Perpendicular/contiguous roads to North Street should be 50% mixed P&D and RPS (Upton Road is of no use to the traders and could return to 100% residents). There should be no negative impact on residents as the streets are half empty of cars during the day. Consultation - one side of North Street was not consulted at all (as it forms the boundary), despite being seriously affected by the RPS. This side of North Street still extraordinarily cannot get permits. Welcome to the September edition of the Town Team and BID Newsletter. Please see below for our current activities and plans. For details of the past year's activities, please click here to view our annual report for 2014/15. 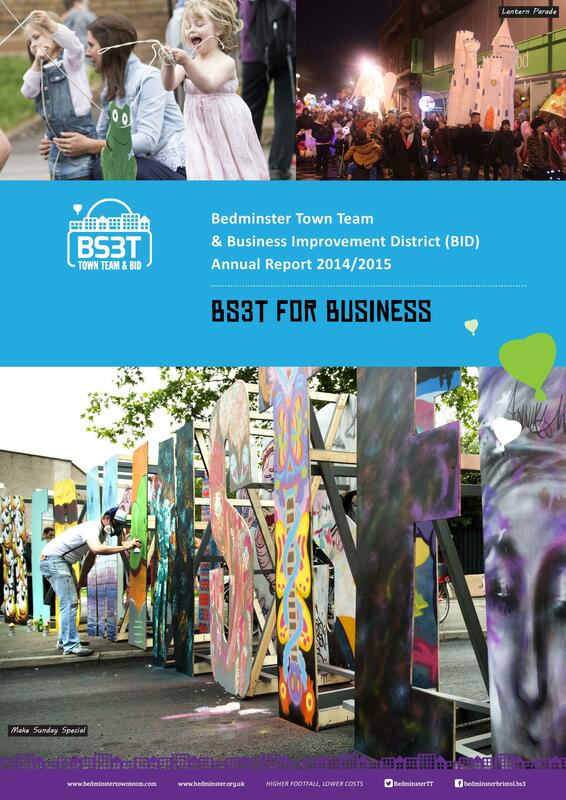 Each year we arrange brainstorming sessions in Bedminster's three key shopping streets. These are held with local businesses and in the specialist sub-groups that meet monthly (ie marketing and built environment). With too many ideas to be able to fund, the board meets each September to prioritise the best initiatives. We aim to bring forward nearly all of the projects listed below over the next twelve months. Princess Caraboo - Mill Square, historical walking trail, art etc. Christmas Fair and Market - including reindeers, barber shop singers, Salvation Army etc. BS3T Guide: We have printed 20,000 copies of the BS3T map guide, and with the help of Destination Bristol, are ensuring it is available in all key tourist points from the city to the airport (please click here to view if you haven't already seen it). Winter Lantern Parade - Saturday 12th December: The organising committee are looking to extend the lantern parade this year to involve all the businesses and traders in the area, whether that be by decorating your windows with lanterns, getting together in a group to make a lantern and join the parade, donating some cash towards the fund that makes it happen each year, volunteering to steward... everything is welcome! We are expecting over 3000 people on the streets of Bedminster from 3pm, so if we can extend this to make a huge day of activities, it would be fantastic for the area. A big hello from the acta community theatre team. We are an educational arts charity and are situated between Gaywood House surgery and South St Park. This year we are celebrating the organisation's 30th year! As such, we would love to invite the local businesses around us to see a very special show which has been created to celebrate our birthday and our new building. 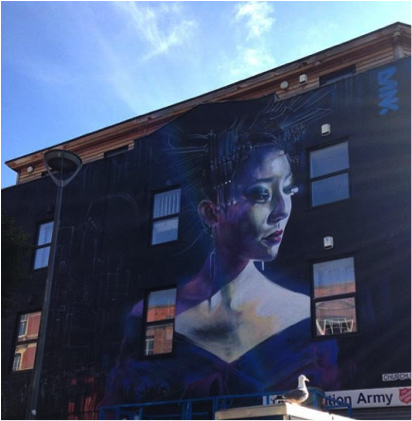 The show is called 'TheNow' and was created by performers from Bedminster and across Bristol. It is a comic show which takes a wry and light-hearted look at the world of 2015 and the last 30 years. If you're nostalgic for big hair and Wham T-shirts, frustrated at dealing with modern technology, or just fancy a fun night out (and a nose at the new building) please email info@acta-bristol.com or call Kathryn on 0117 9532448 to reserve your tickets. Dates - September 23, 24, 29, 30 & October 1. All performances start at 7.30pm. Watch the trailer for 'TheNow' here. Kathryn Harris, Programme Assistant at acta (www.acta-bristol.com)"
Do You Need Part Time Staff? 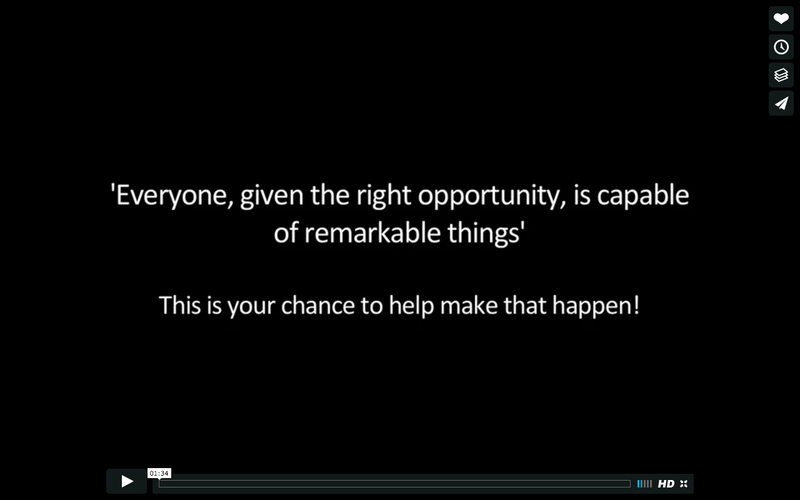 We have been asked by Bristol University graduates to mention the launch of a business that aims to connect Bristol students with local jobs whilst they are at university. The website is www.wurkrs.com, it is completely free for both students and employers, and it could be a very useful tool for businesses in theBedminster area. The broad idea is that as a university student, you often have both a lot of spare time and not much money! There is currently no easy way of finding temporary, one-off or part-time work when you want it. We aim to fulfil this need with Wurkrs. The idea is that businesses in the Bedminster area can very simply post whenever they have a job vacancy or need an extra pair of hands. They then have access to a large pool of reliable, hardworking and cheap local university students to fill those vacancies. The Town Team have circulated a hard copy newsletter for January/February.